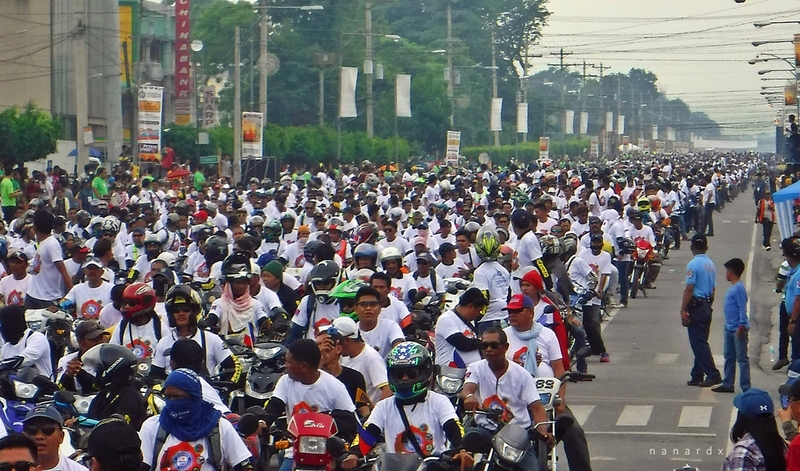 Koronadal's Motorcycle Festival: A Record-Breaking Success! Thousands of riders and motorcycle enthusiasts from different parts of the country and even from abroad gathered in the City of Koronadal last April 28-29, 2017 for the 23rd National Convention of the National Federation of Motorcycle Clubs of the Philippines and the Koronadal Motorcycle Festival. The event which was highlighted by official attempts to set new Guinness World Records for most motorcycle engines started simultaneously and most motorcycle horns sounded simultaneously was a success. It did not just set new world records with an overwhelming 3,336 registered participants but it also proved to the world that SOCCSKSARGEN (not just the City of Koronadal or South Cotabato) is a good place to ride. It also never failed to showcased our rich culture, delectable foods, and incomparable tourist destinations. Many of the riders were first timers in the region. Most of them reached the City of Koronadal riding their bikes and were amazed with the beauty of our place and the goodness and hospitality of the people they have met along the way. For some, their travel to Koronadal was an eye-opener as the city and most of the places they passed by is very progressive and peaceful contrary to what they have heard and read. Most of the riders we talked to signified to come back. SOCCSKSARGEN, Philippines #SOXph by Nanardx: Koronadal's Motorcycle Festival: A Record-Breaking Success!